Incentives - St. Jude - Give Hope. Run. We have some great fundraising incentives for the race this year. 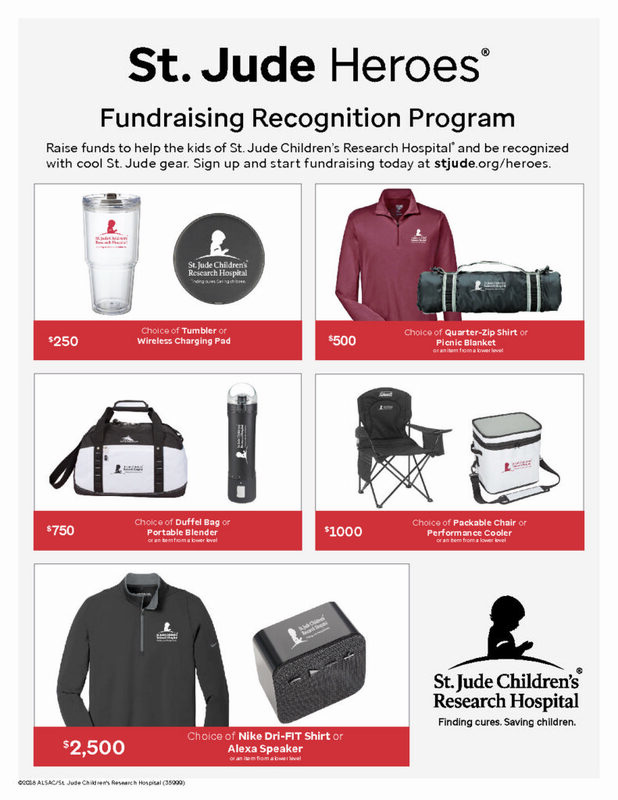 If you’d like to help raise support for St. Jude as well as earning yourself some great rewards, check out what’s being offered this year.